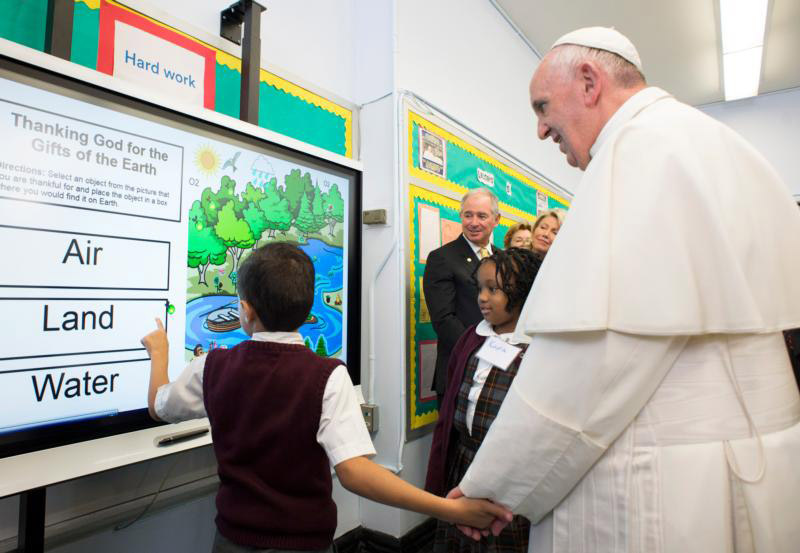 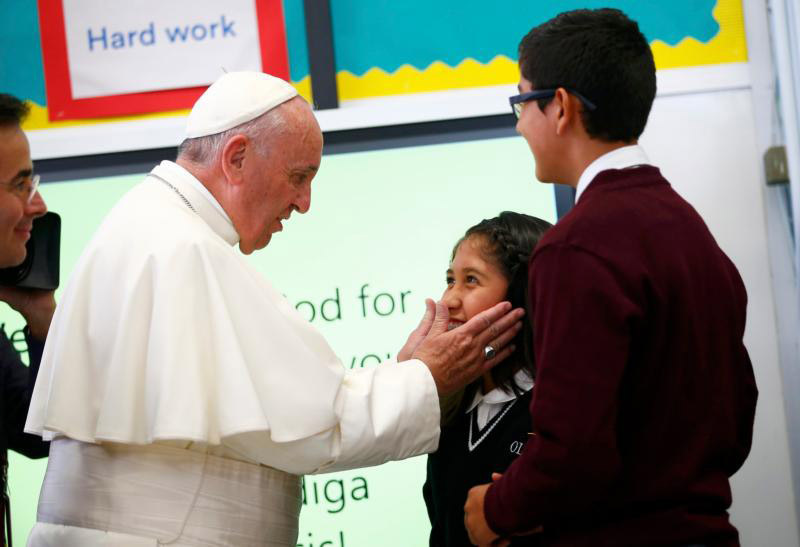 A student shows Pope Francis a lesson on the environment during his visit to Our Lady Queen of Angels School in the East Harlem area of New York Sept. 25. 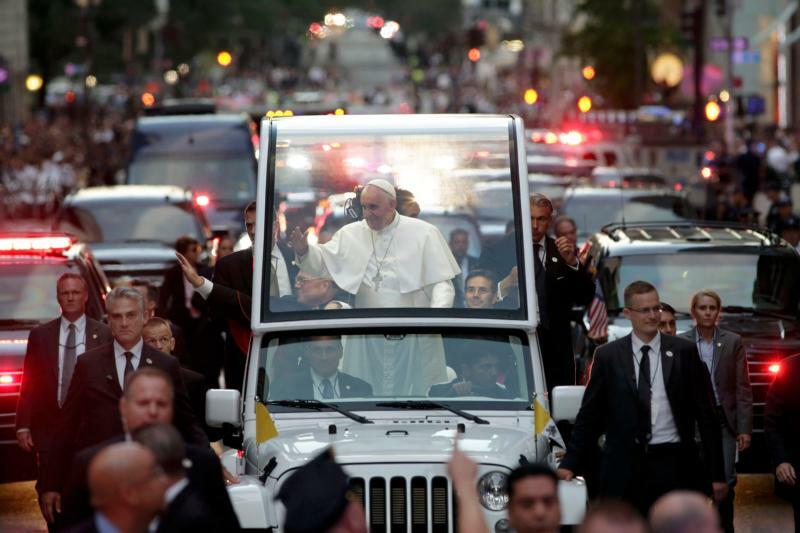 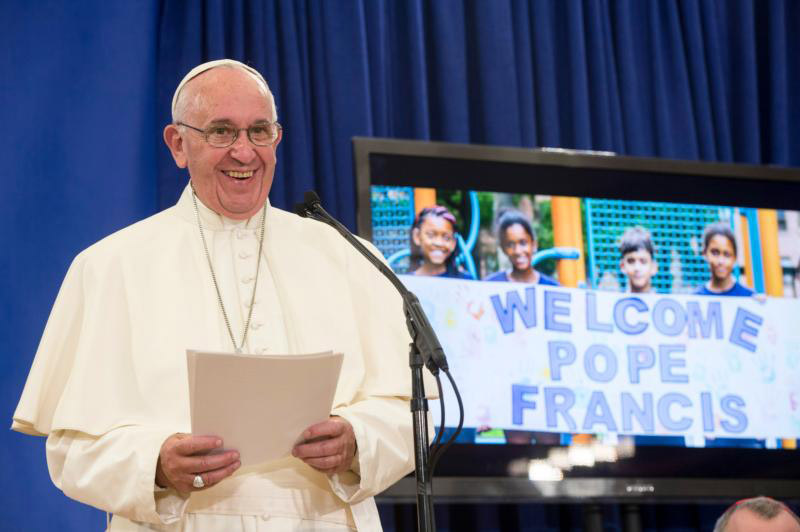 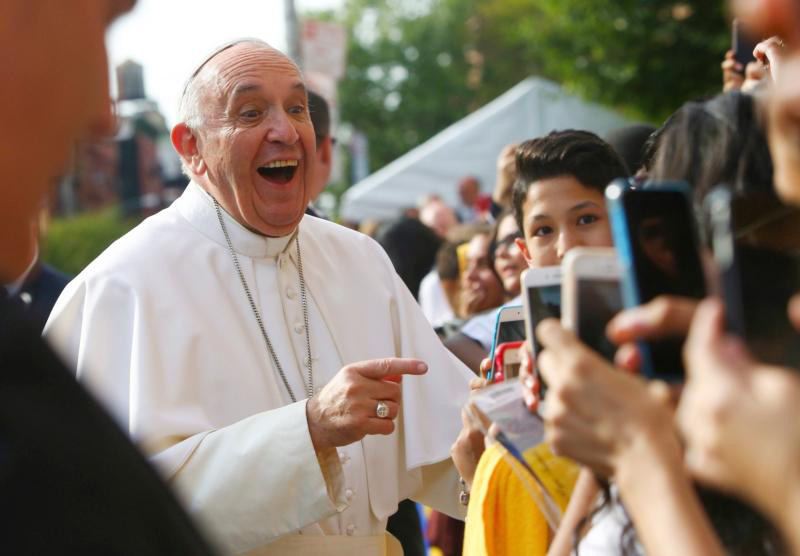 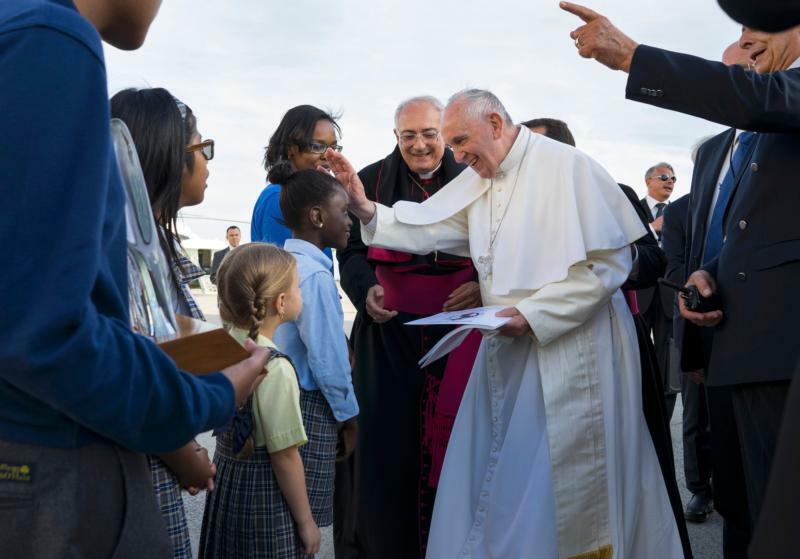 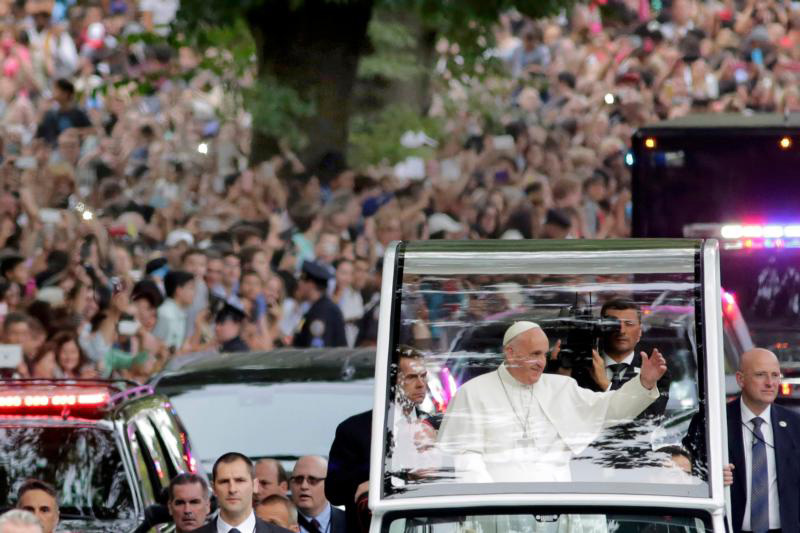 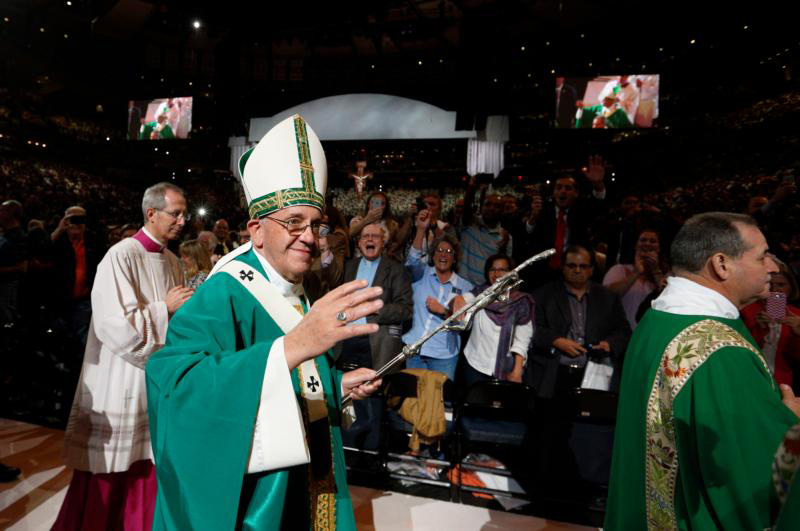 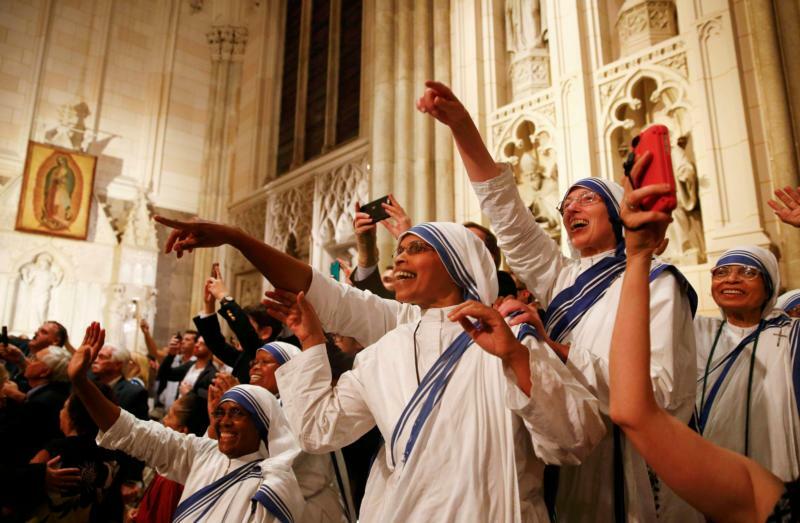 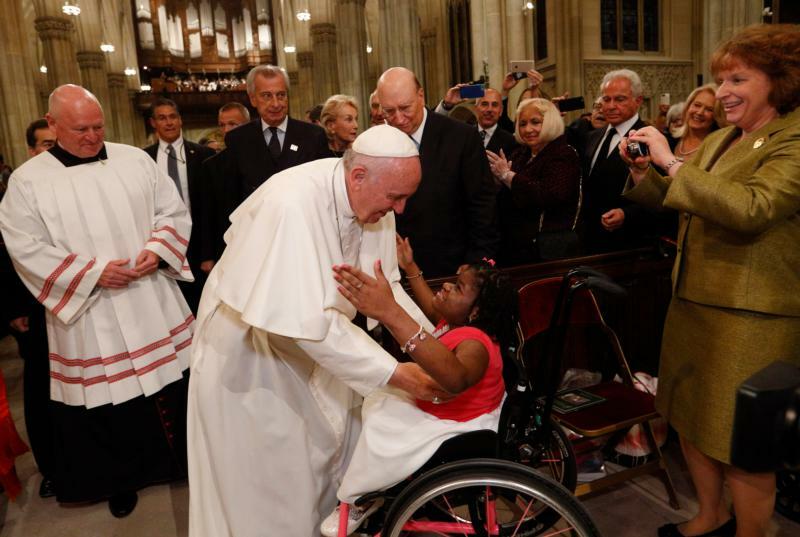 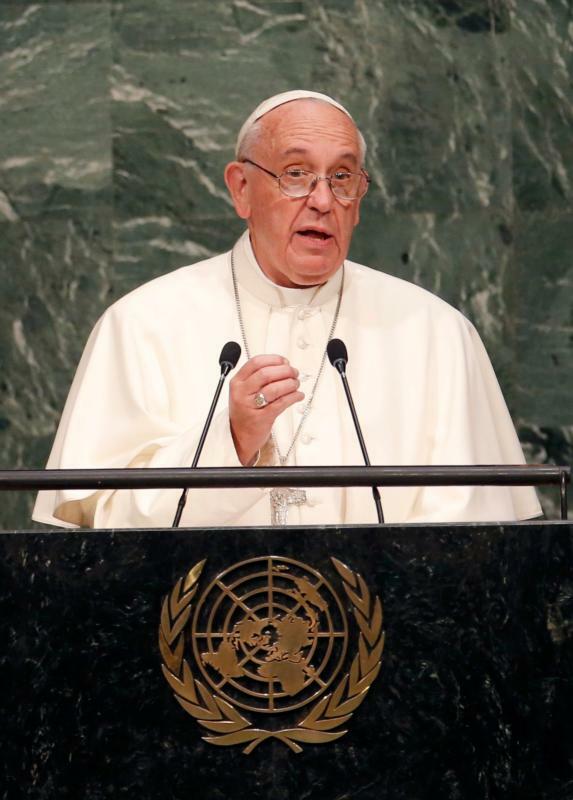 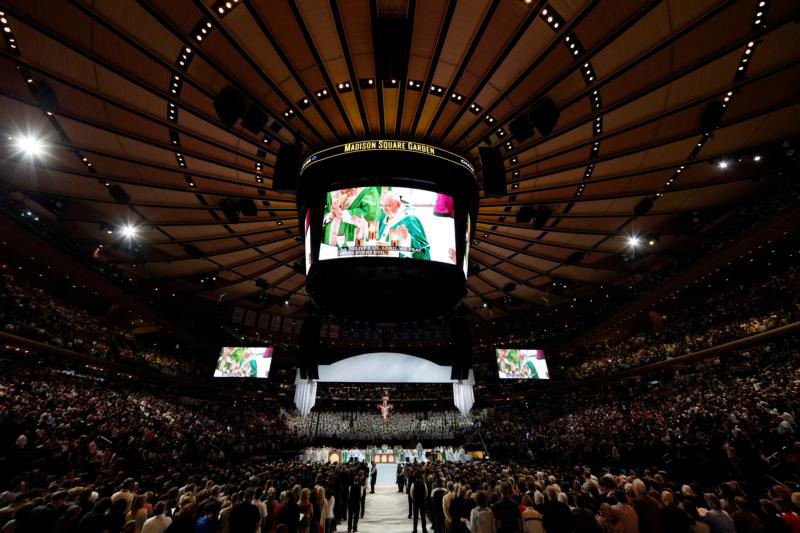 (CNS photo) See POPE-NY-IMMIGRANTS Sept. 25, 2015. 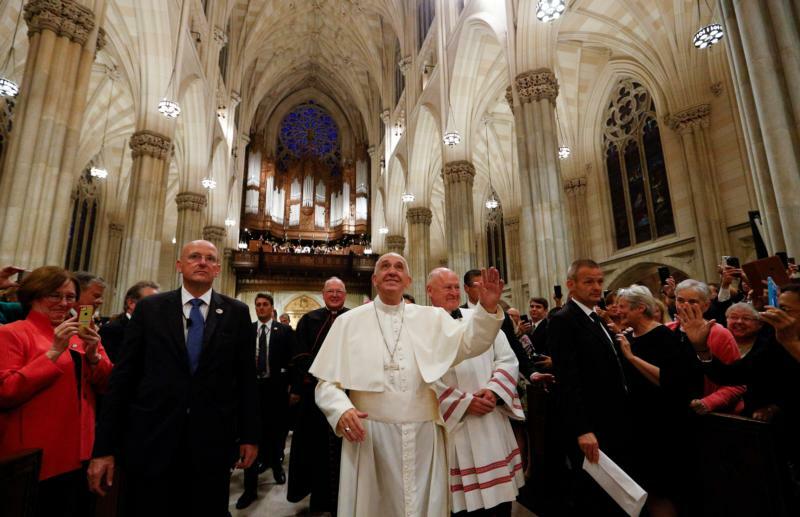 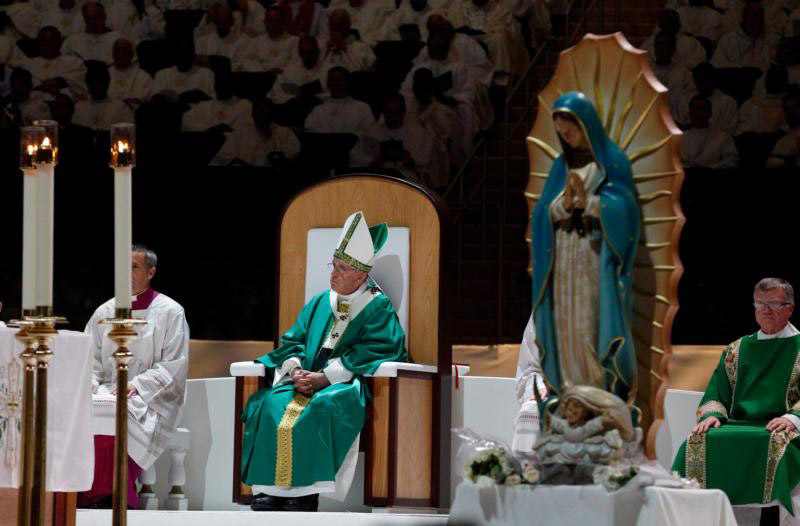 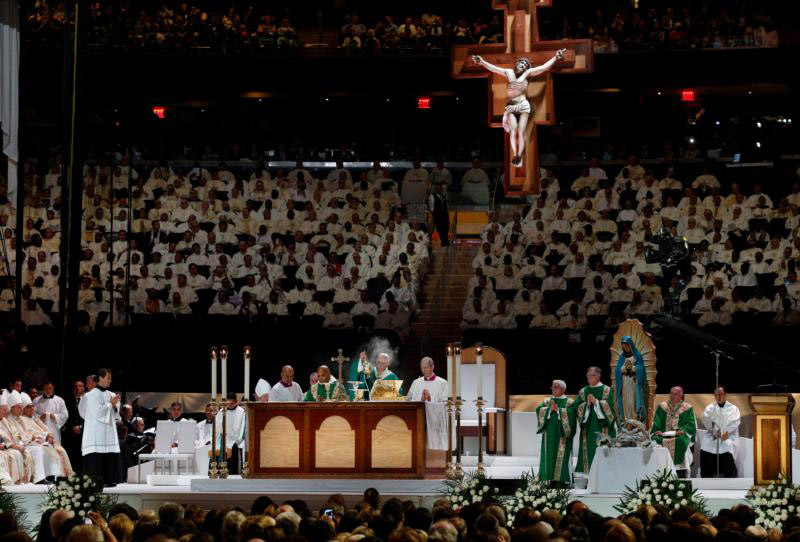 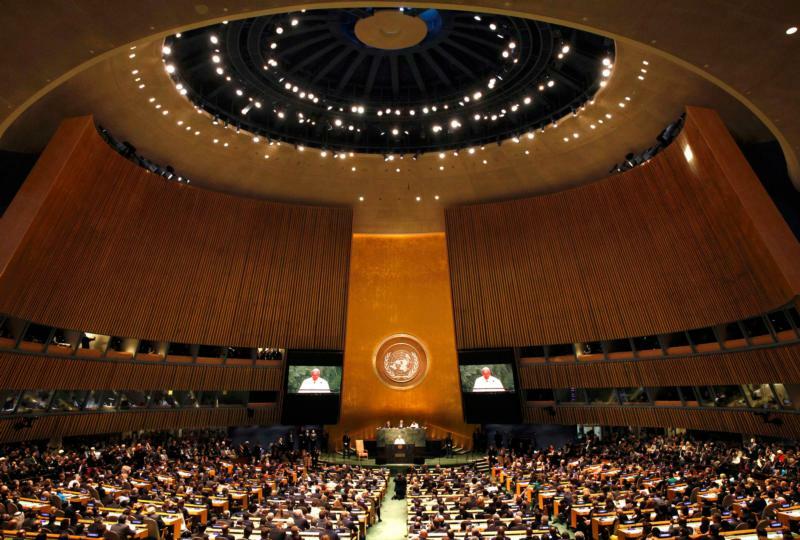 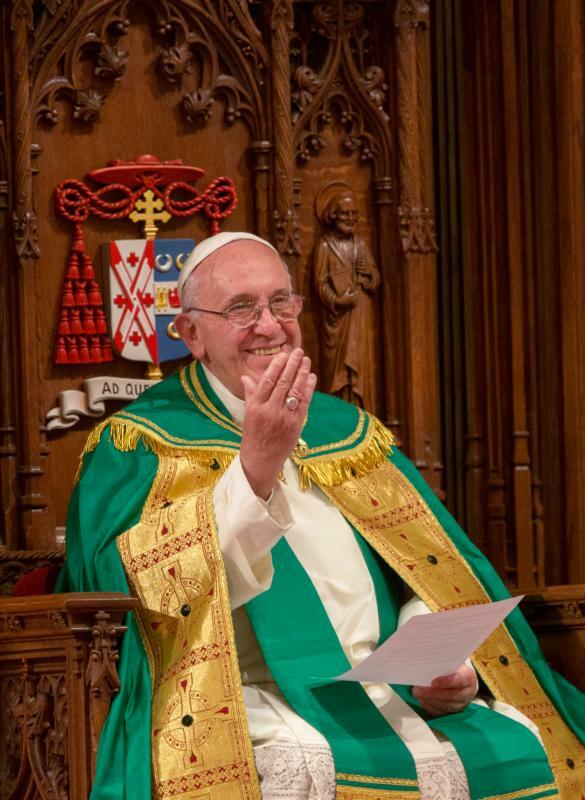 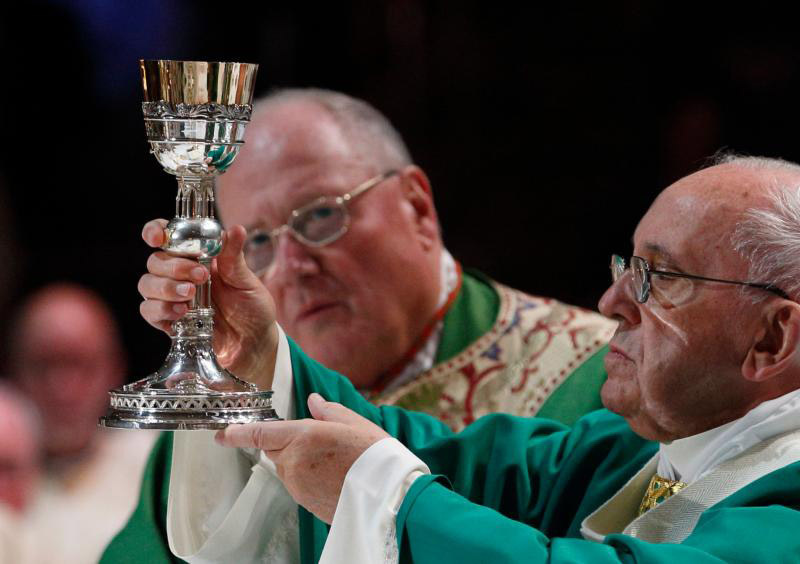 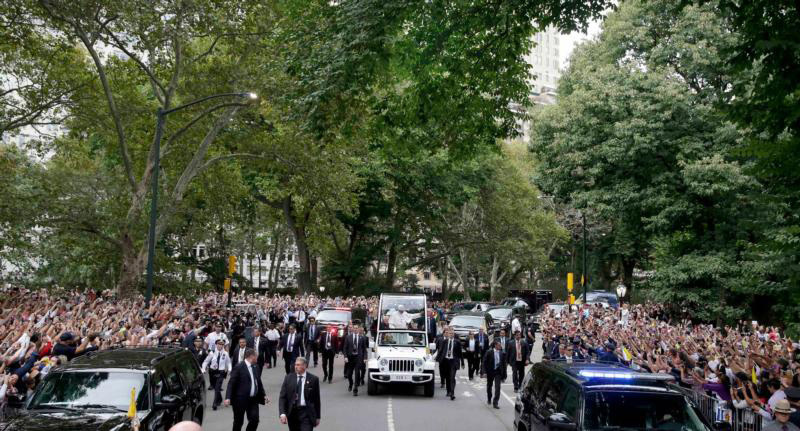 The pope’s two-day visit to the Big Apple preceded his stop in Philadelphia, which was the final leg of his first Apostolic visit to the United States. 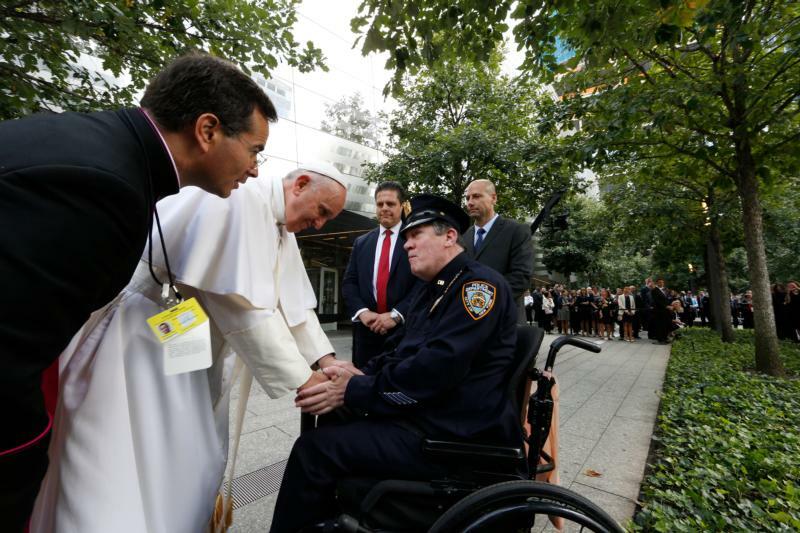 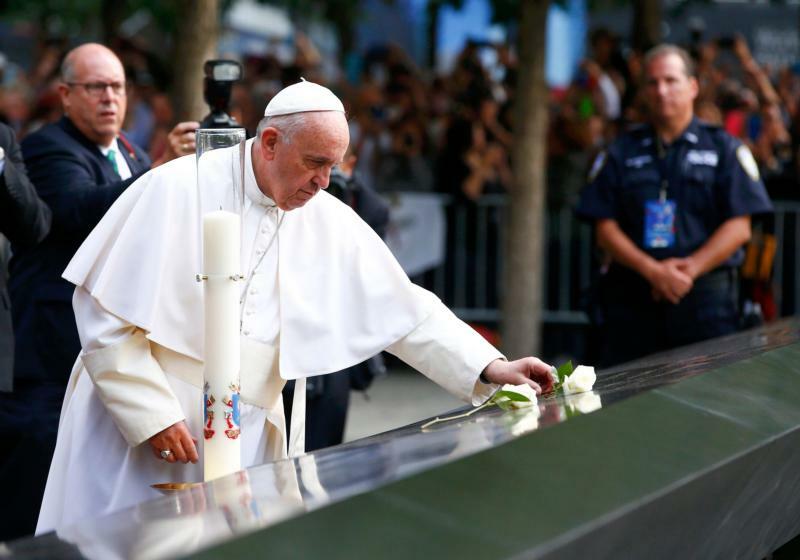 Pope Francis greets a New York City police officer as he visits the ground zero 9/11 Memorial in New York Sept. 25. 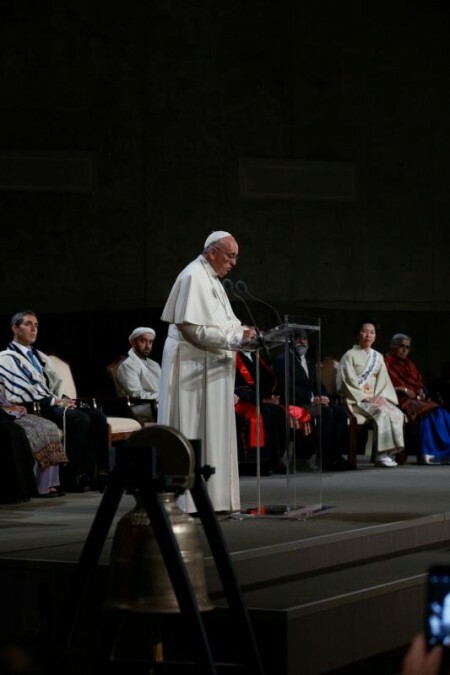 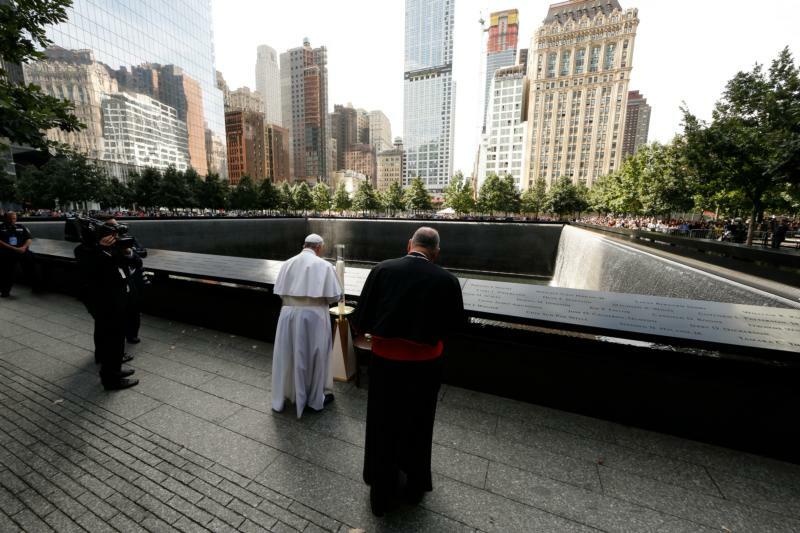 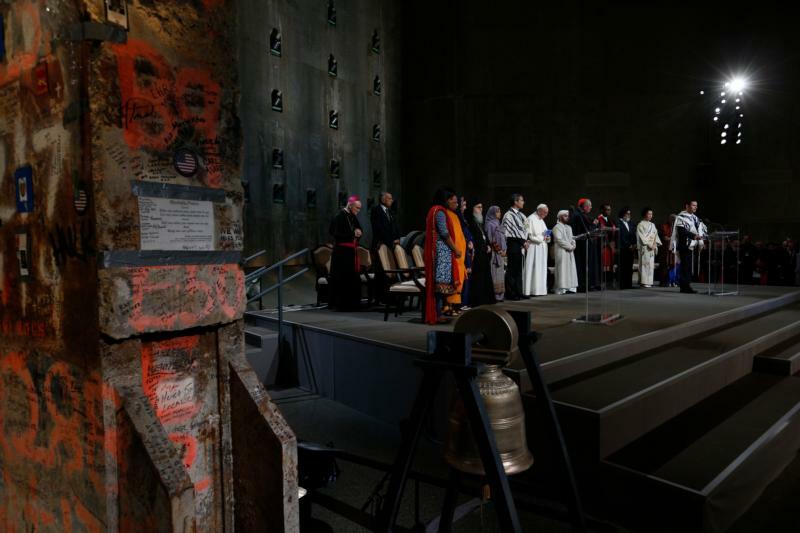 Pope Francis joins representatives of religious communities for meditations on peace in Foundation Hall at the ground zero 9/11 Memorial and Museum in New York Sept. 25. 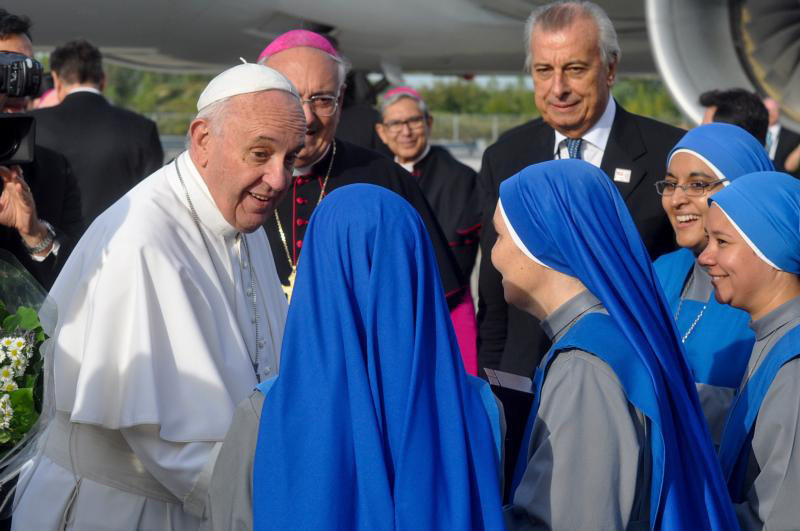 Pope Francis talks with members of the Sisters Adorers of the Precious Blood, an Argentina-based order from Brooklyn, N.Y., before he boards a flight at John F. Kennedy International Airport on his way to the World Meeting of Families in Philadelphia Sept. 26.